Google Music steps into the world of tunes, albeit a little late in the game as some would say. But it’s now freshly out of beta and bundles in more features for users. The beta version allowed users to store their music collection in the cloud and stream it to other devices. 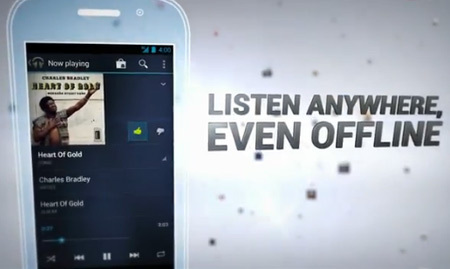 Now, the latest service allows audiophiles to do that and more, such as selecting music to listen even when offline. 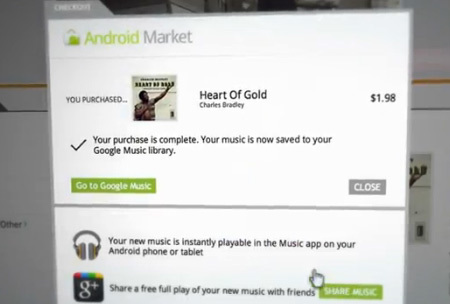 The Android Market will now see the presence of a music store that is complete with Google Music. Although, the service continues to be free, users will be required to pay up for the songs they purchase from the store. The offering even syncs the entire music library onto other devices being used, saving up on time that otherwise would have been spent in transferring files. The store attaches the names of artists from Universal Music Group, Sony Music Entertainment, EMI and more in order to make available over 13 million tracks for melody lovers. The names of independent labels include Merge Records, Warp Records, XL Recordings and more. Not so surprising as a few would expect it to be, the new service from Google has been integrated into their SNS, Google+. Users on the networking website will be able to share with their friends and family, one free full play of a song that they purchase. Another add-on to this development is the Artist hub that has been included to aid, well, the artists. Practically anyone can create their page to mark prices and sell their own music directly to users. This may probably open the doors to those looking for a break in the industry. With other players, namely Apple and Amazon having already got quite a strong foothold in the market, whether Google Music will create its mark still remains to be seen. Previous articleiPhone 4S SIM card failure a new Apple flaw?